Chanchala, joined Network Bulls for pursuing her career with Integrated Routing & Switching. She had an amazing experience with the Network Bulls team. She not only enjoyed the journey but also cherished the result of getting placement even before completing her course. Now she holds a firm position in British Telecom that Network Bulls had provided her with in the placement drive. “Hey everyone, I am Chanchala Jindal from Shamli, Uttar Pradesh and I want to thank the entire team of Network Bulls for their collaboration and co-operation and making my career so successful. I had enrolled myself with Network Bulls in 2016 for an Integrated Routing and Switching Course. Now I have been successfully placed in the British Telecom placement drive conducted by Network Bulls. I am so very thankful to the entire team for this. I had not even completed the tenure of the course and before that I got my placement. I am very thankful to the crew that was with me through the training and helped me a lot to achieve this point in life. The trainers are very talented with great skills and expertise. They are very friendly and understanding and provide assistance whenever required. I want to thank Siddharth Sir specially for helping me develop my personality skills. Initially, when I joined Network Bulls,I could hardly speak anything in English, but with Siddharth Sir’s friendly approach, he brought this change in me. Now I am able to speak in English continuously and fluently. I also want to thank Priyavarat Sir, the CCNA trainer. He was indeed a very polite and hard working person. Ajaypal Sir has also made a lot of efforts for everyone at Network Bulls. He is a very dedicated person and he keeps motivating everyone. He mostly discusses about Networking and how we can increase our understanding and develop our skills regarding it. Chanchala had a wonderful learning experience at Network Bulls. It provides the best classroom environment for study and the world’s best courses and faculties. The trainers are well trained and have high experience and expertise in their work. The labs are equipped with the latest devices required for practicals. Network Bulls provides detailed and long sessions regarding interviews and how to crack them. Not just that but it also guarantees a 100% job placement before the completion of the courses as well. So what are you waiting for?  Enroll yourself with Network Bulls today and secure your career and watch your dreams fly! CCNA R&S, CCNA Security, CCNA Collaboration, CCNP R&S, CCNP Security, CCNP Collaboration, CCIE R&S, CCIE Security, CCIE Collaboration, MCSE 2012 Server infrastructure and a lot more.